Still time to win a Google Home Mini! 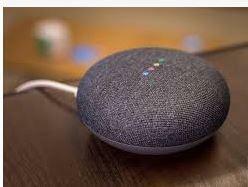 If you donate at least $20 from November 26th through December 3rd, you will be entered into a drawing for a Google Home Mini. We have a very exciting announcement. A donor has provided OCS with this cool promotion. If you donate at least $20 to OCS's #GivingTuesday campaign or Annual Giving Campaign from November 26th through to the end of the day on Monday, December 3rd, you will be entered into a drawing for a Google Home Mini. Give now to win!